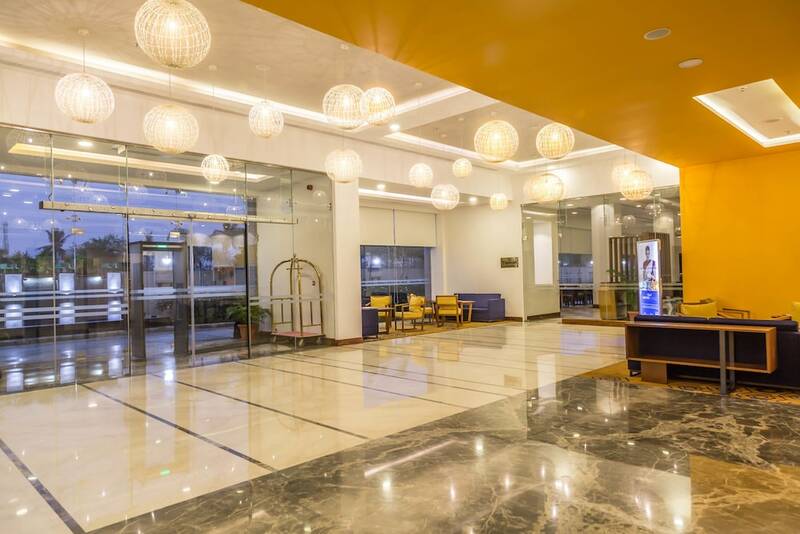 Located in Chennai (Vandalur), Kalyan Hometel Vandalur is within a 5-minute drive of B.S.Abdur Rahman Crescent Institute Of Science & Technology and Gateway Office Park. This hotel is 11.4 mi (18.3 km) from Old Mahabalipuram Road and 15.5 mi (25 km) from VGP Universal Kingdom. Make yourself at home in one of the 108 air-conditioned rooms featuring minibars and flat-screen televisions. Complimentary wired and wireless Internet access keeps you connected, and satellite programming provides entertainment. Private bathrooms with shower/tub combinations feature complimentary toiletries and hair dryers. Conveniences include safes and desks, and housekeeping is provided daily. Take advantage of recreation opportunities such as a health club or take in the view from a terrace and a garden. Additional amenities at this hotel include complimentary wireless Internet access and concierge services. Guests can catch a ride to nearby destinations on the area shuttle (surcharge). Enjoy a meal at the restaurant or snacks in the coffee shop/café. The hotel also offers 24-hour room service. Quench your thirst with your favorite drink at the bar/lounge. Breakfast is available for a fee. Featured amenities include complimentary wired Internet access, a 24-hour business center, and complimentary newspapers in the lobby. A roundtrip airport shuttle is provided for a surcharge (available 24 hours), and free valet parking is available onsite.